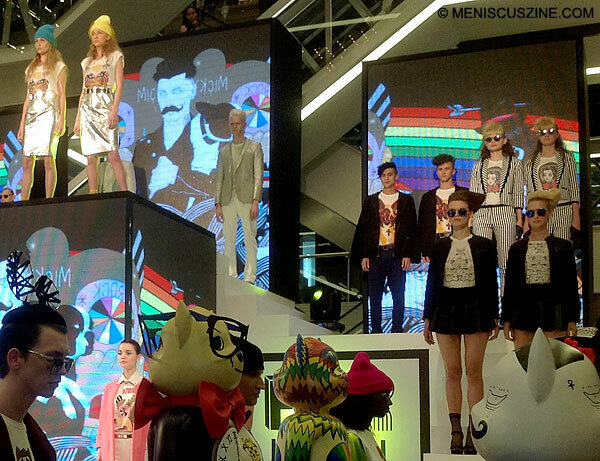 Foil blazers and tight skirts, Mickey Mouse ears and black-and-white jail-striped suits could have easily derailed the intent of Thai high street label JASPAL’s fashion show at Siam Center on Mar. 1. Thankfully, surrounding the runway were life-sized, artist-designed sculptures resembling Qee Bears – a collective reminder of what the event was for. Those same 11 artists worked with JASPAL in its first-ever collaboration combining street art and t-shirts. The FOR | JASPAL Limited Edition Co-Lab T-Shirt project for Spring 2013 celebrates these artists’ wide-ranging aesthetics on white shirts, most prints combining elements of comic books and graphic design. This season’s featured artists are: Kult Teerawut, Logan, May-T, Miss Ink, Nariss, P7, Mamafaka, Rukkit, Tawan, TRK and Yuree. 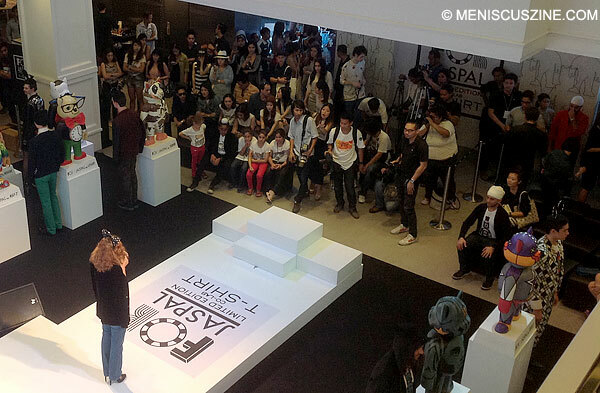 The FOR | JASPAL Limited Edition Co-Lab T-Shirt Spring 2013 collection is out in stores across Thailand and Malaysia. For more about the inspirations behind the designs, go to jaspal.com.